We are learning about sequencing this week in History. 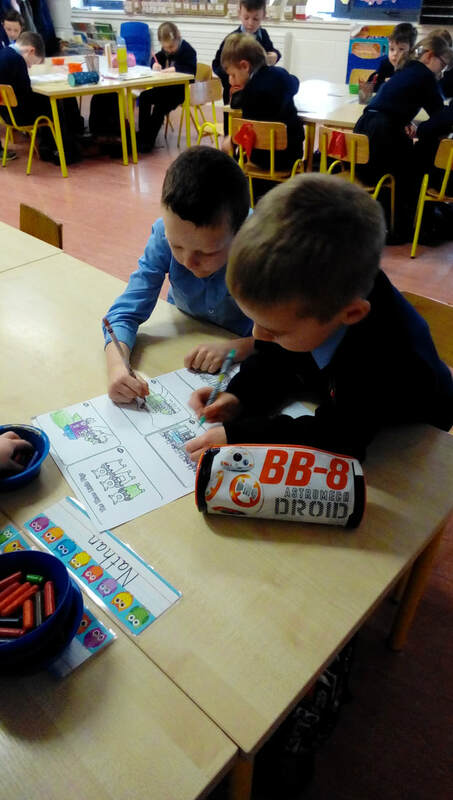 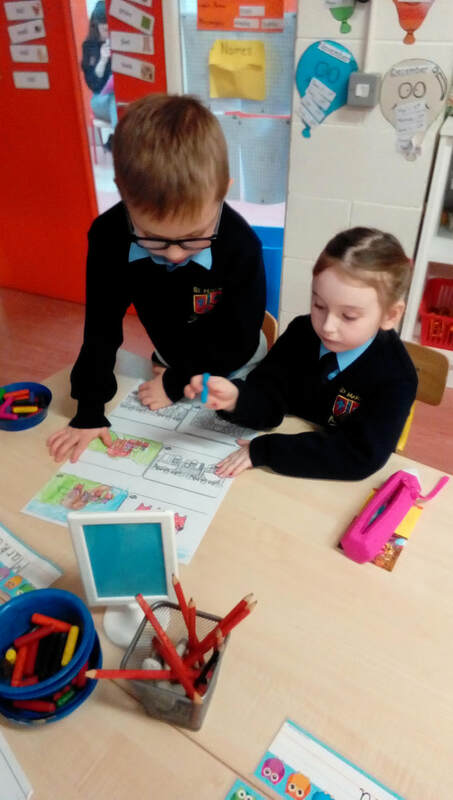 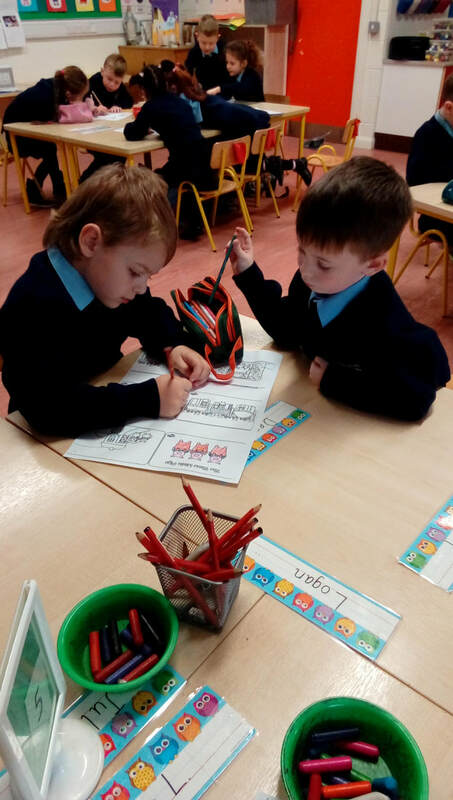 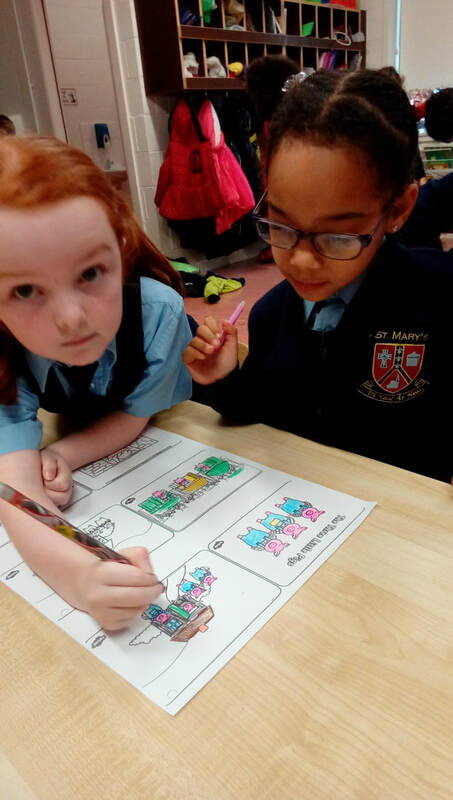 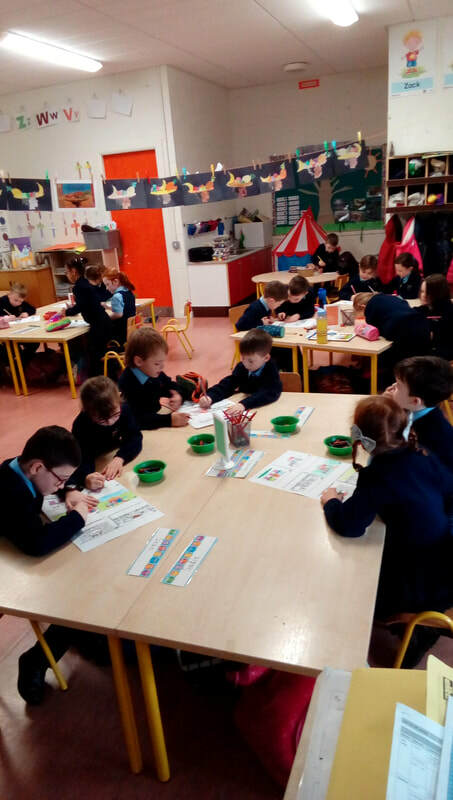 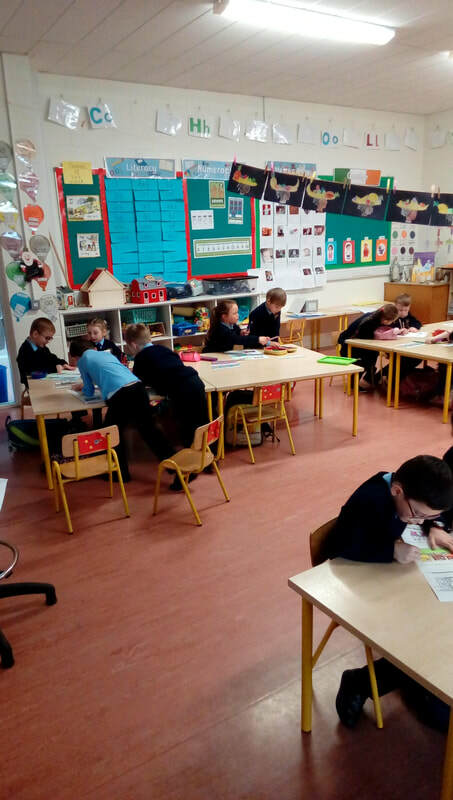 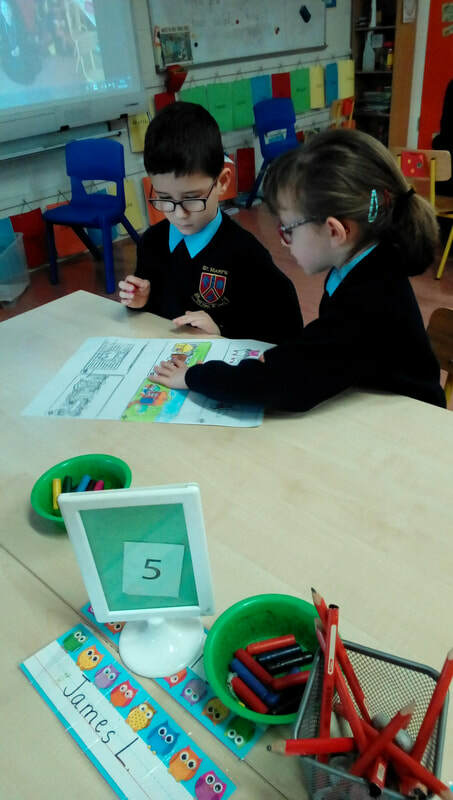 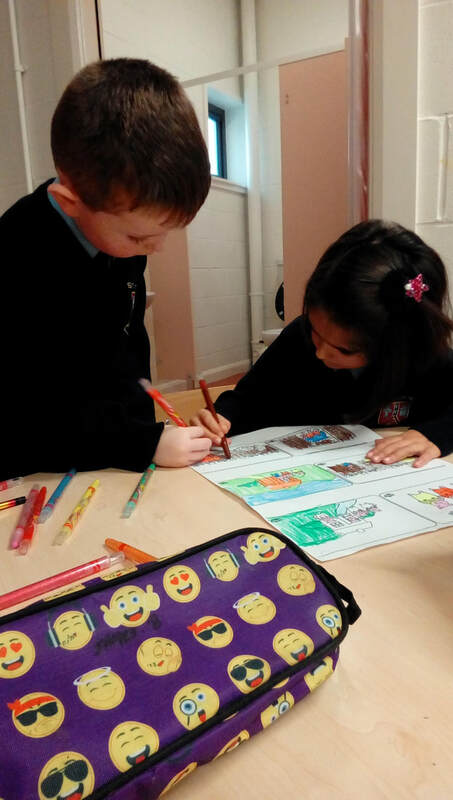 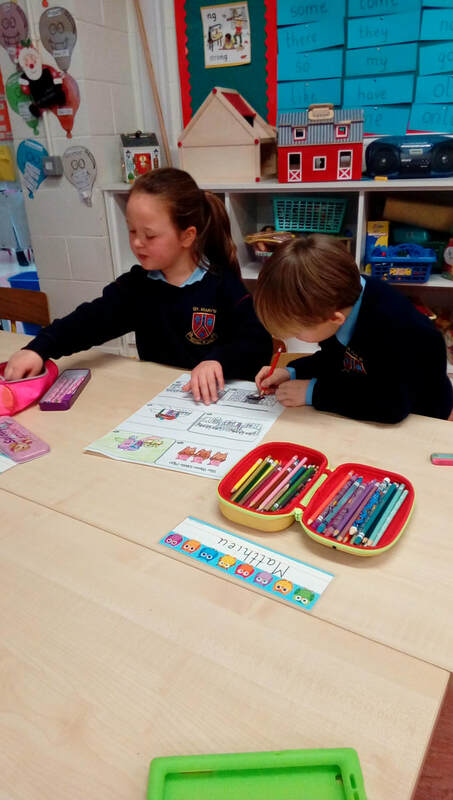 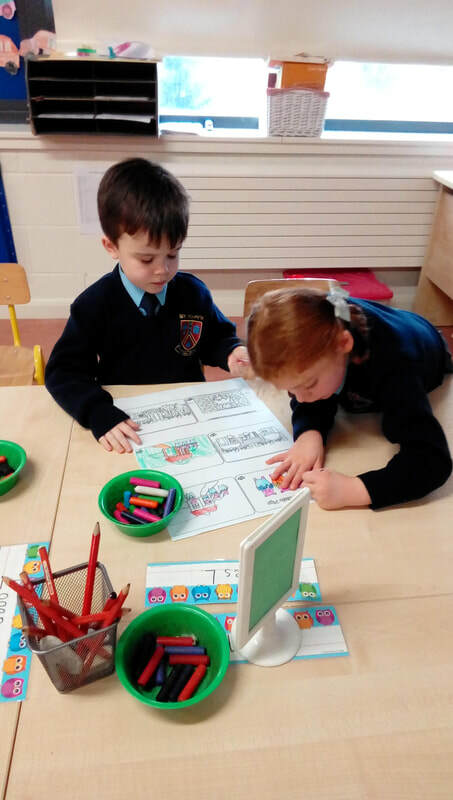 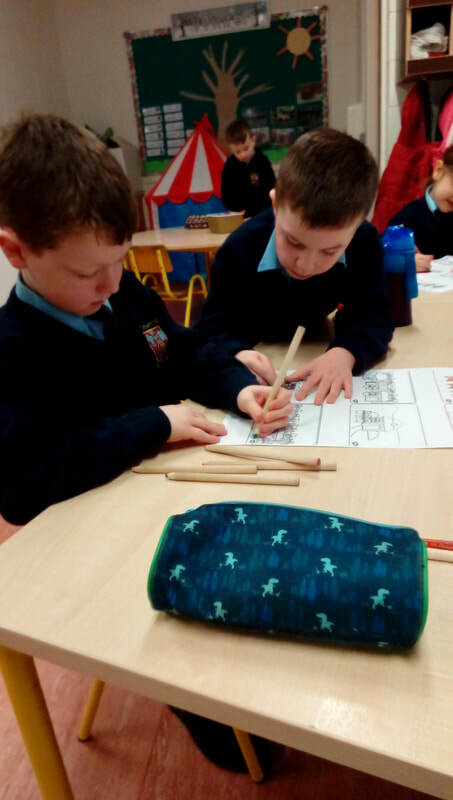 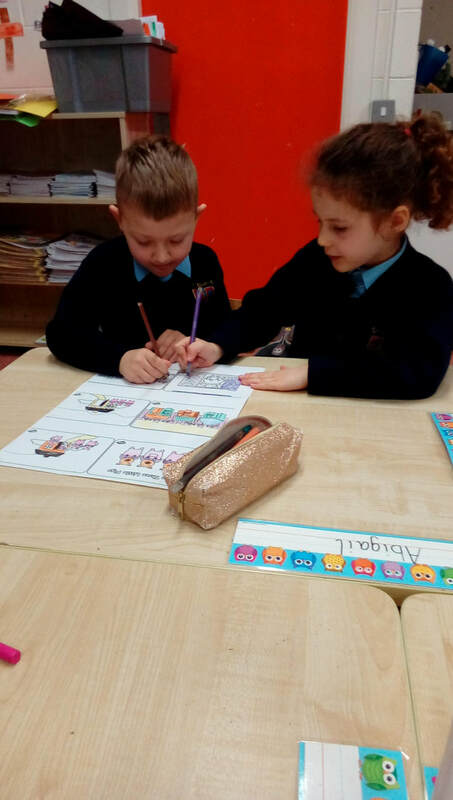 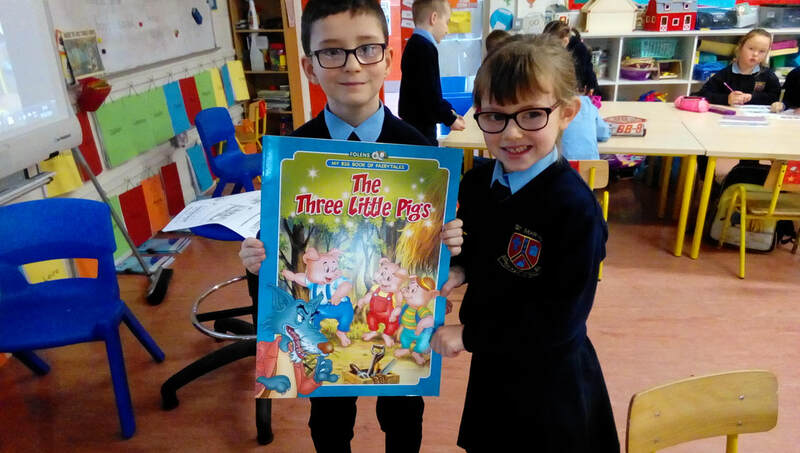 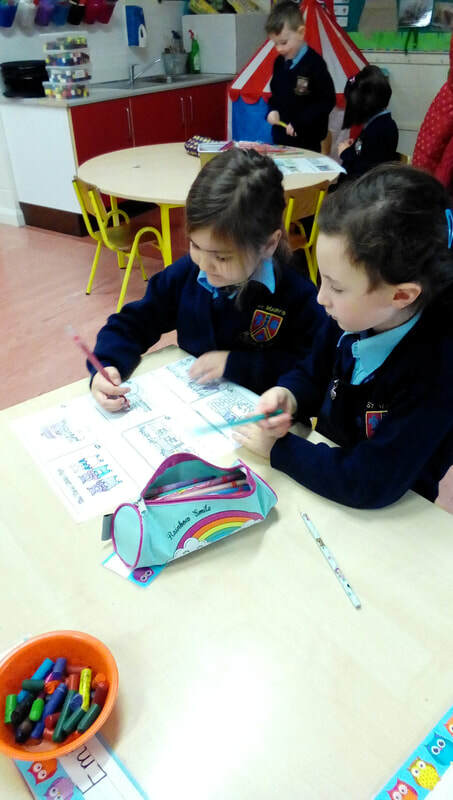 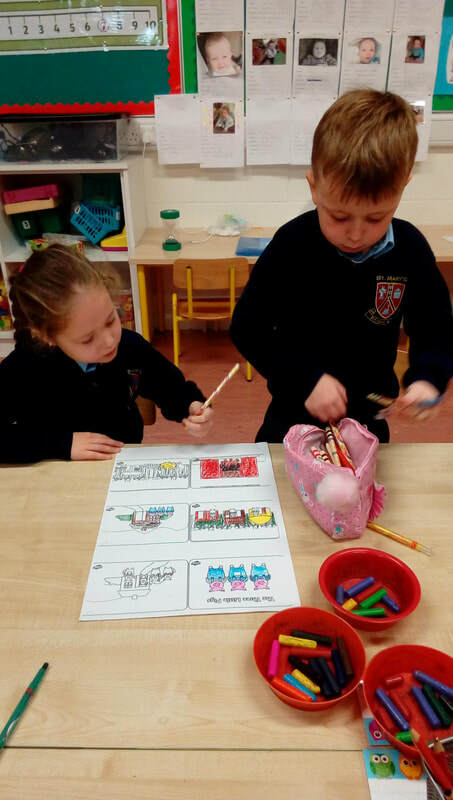 We read the story "The three little pigs"
Then we had to work in pairs colouring in the jumbled up pictures,cutting them out and put them in the correct order. 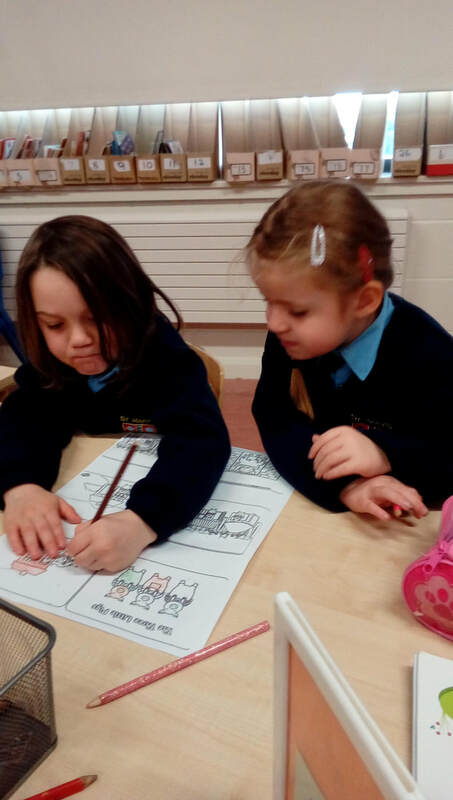 We had so much fun working together.